Whether you work for a brand that is new to social media, or you are just trying to keep up with the times, you should know which social media platforms are absolutely necessary for your company. You don’t want to overwhelm your audience, so it’s best to choose wisely. How do you do that? 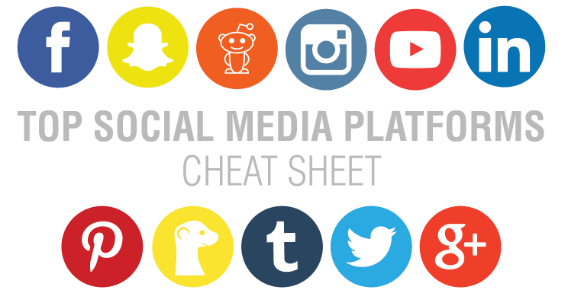 Here is a cheat sheet explaining the top eleven social media platforms and why you should be on them.